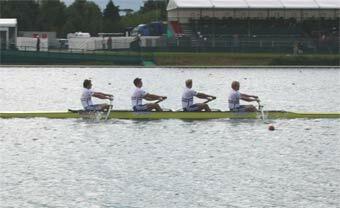 This was the first full World Rowing Championships to be held in the UK since Nottingham in 1986 - 20 years ago. 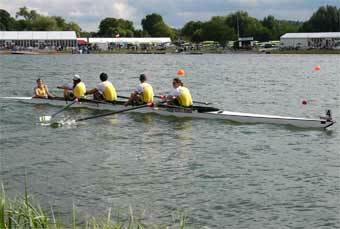 It was conducted on a man made rowing course named Dorney Lake, in a spectacular, 400 acre parkland setting near Windsor. The Dorney Lake web site states: The original aim of constructing a high-quality rowing course for Eton College pupils has not only been achieved but far exceeded. The site is acclaimed as one of the finest in the world and has the added attractions of a spectacular setting with a Park and Arboretum and a Nature Conservation area (see Leisure & Learning), a fully-equipped gymnasium for training and indoor rowing, its own in-house hospitality and events team for corporate and private functions (see Hospitality) - and access for all community sectors (see Dorney Lake Trust and Community Access below). A Site Interpretation Centre is planned (see Leisure & Learning) and other exciting projects are afoot. 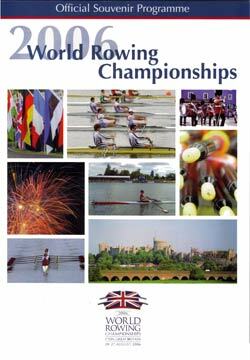 It is also the site for the conduct of the rowing and flat-water canoeing for the London 2012 Olympic & Paralympic Games. However Australia performed well on the total medal count with 7 medals being third behind Germany (11), Great Britain (8). More importantly Australia finished as the best nation in the medal count in the Olympic classes with 5. AOC President John Coates stated that he would be very happy if we were to finish with 5 medals at the Olympic Games. High Performance Director Noel Donaldson added that we are further progressed than last Olympics and we were very successful then and we have plenty of room for improvement. The gold medal winning men's pair did enough in their heat to win and powered off in the final to lead all the way. Drew Ginn was quaoted as saying that kept their "powder dry" for when it was really needed in the final. The victorious women's four also won both their heat and final giving Robyn Selby Smith and Kate Hornsey their second win in this boat class in successive years. 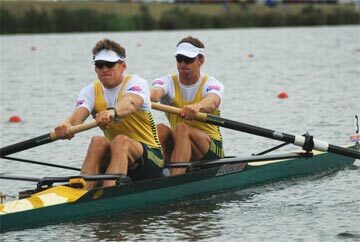 The upset win by the Australians was left to the women's double scull of Liz Kell and Brooke Pratley who defeated World Champions Georgina and Caroline Evers-Swindell who have dominated the event from 2002 to 2005. It was a tight race and close finish showing the depth and closeness of the competition.